Europe uses a lot of crude oil and natural gas (to the tune of billions of cubic feet per year). The difference is crude oil is easily transported by ships from all over the world, while natural gas is mostly delivered by pipelines. Of course, the amount that Europe uses has been going down steadily over the past few years. In 2008, Europe used 20,556 billion cubic feet of natural gas. That fell by 1,000 billion cubic feet in 2009, and continued to fall into 2012 when the continent used 18,684 billion cubic feet of natural gas. As a whole though, the European Union uses the second most natural gas in the world, ranking well behind the United States, the largest user on Earth, and just ahead of Russia. Within Europe, the largest consumer of natural gas is the United Kingdom, followed close behind by Germany and Italy. Those are the only two countries in the top 10 of natural gas consumption worldwide as well. As a whole, Europe does not have a lot of natural gas, and certainly not enough to supply the entire continent. As a result, Europe imports a large amount of natural gas from elsewhere. Currently, the number one producer of European natural gas is Russia, with the country comprising 38.7 per cent of the total imports of European Union natural gas. Roughly 25 per cent of all natural gas used in the European Union comes from Russia. The natural gas comes from 13 pipelines that come from Russia. In terms of who imports the most, that would be Germany and Italy, who together account for half of the EU gas imports from Russia. Other major imports of Russia natural gas to the tune of over five billion cubic meters per year, are France, Hungary, Czech Republic, Poland, Austria and Slovakia. Currently, the European Union pays $53 billion for natural gas from Russia. How does Ukraine impact this? The Ukraine crisis has remodeled the European natural gas equilibrium. While many are looking to the European Union to get its natural gas from elsewhere than Russia, it is important to point out that most European country customers have long-term legal contracts for gas delivery from Russia, regardless of disputes, that go beyond 2025 to 2030. 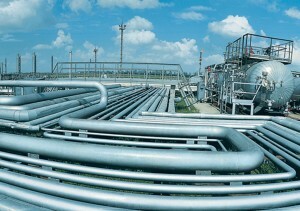 Nonetheless, there is a call to diversify the energy market of Europe to combat Russian dominance of natural gas in Europe. There are talks of other countries providing natural gas, with Canada being one of the leading contenders. Canada has some of the largest natural gas stores in the world, and even Chancellor Angela Merkel of Germany stated her excitement to get natural gas from Europe, since her country currently gets most of its natural gas from the UK, Norway and Russia. Of course, it is unlikely to happen anytime soon. Canada would need to update and enlarge its natural gas port facilities on its east coast, and Europe is unlikely to sign 30 to 40 year contracts with Canada for natural gas at this time. In order for cargoes of natural gas to come to Europe from other than Russia, it is expected that natural gas prices on the continent would have to double. UK prices would have to rise by 127 per cent to attract liquefied natural gas to replace Russian fuel. If Russia were to halt its gas supply in the summer, this would cause a doubling of the prices in the United Kingdom. Currently, European terminals can import 199 billion cubic meters of gas per year, and Russia supplied 138 billion cubic meters. While there is the worry about natural gas stoppage from Russia, it is unlikely the country would go to that drastic action considering how much money it gets from the European Union for natural gas. More likely, is that Europe will continue to use Russian natural gas since it is much easier to get than gas from elsewhere. In the world of today there is a big influx of automatically operated gadget and equipment that are called for as part of our professional as well as individual lives. The force that turns on the automated tools is energy products of various kinds. And these are readily available to us at a price. The necessity for energy comparison emerges since we have to keep a certain degree of devices for the smooth performance of our daily lives. And since their prices are tremendous it is also important that we conserve as long as feasible on their investing. 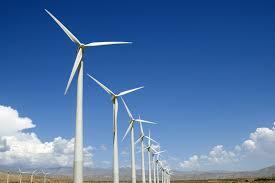 Over the years energy has actually been the sole source of energy for nearly all domestic and industrial purposes. Nonetheless there are various other sources of energy that we consume for our day-to-day and other routine usages also. These are gas and oil to name a few. Many nations are now touching other sources also for a less costly and more routine supply of energy as second options for usage. As we talk of second alternatives in energy products and their advancements permit us see their attributes and sources or beginning. Electric Energy – This is one of the vital sources of energy on our world that runs most of our swift day-to-day authorities and personal tasks. The flow of electrical currents contributes in the effective and quick working of all sort of machineries and equipments. Solar Energy – This is the major source of energy to the whole planet. 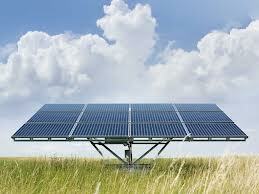 Over the years there have actually been developments made in several nations to create solar energy. This has actually worked in numerous markets as far as vehicle motions. The expense of this is much less than various other sources. The only downside is the absence of continuing power supply from solar energy. Gas – There are many areas of usage where gas is made use of as a source of energy. This is specifically true in case of food preparation gas that is made use of for residential functions. It is also used for various industrial purposes too. Oil – This is one of our natural resources that we rely on for car activities and also the generation of power for different other markets. A rapid receding resource its diminishing rate makes it critical that oil conservation is done rapidly. Energy intake involves us at a cost. There are many governmental companies in addition to personal owned and operated business that provide energy resources straight for industrial, commercial and residential usage. The rate that you need to pay will certainly depend on the amount of usage that you have actually incurred from that resource. But there are certain components of the prices that a consumer has to know. The energy offering companies have various resources that they can employ to generate more energy while keeping the cost reduced. Nonetheless a business may not be upgrading or employing more recent technical developments to do so. This could help to save their economic inputs in research and development however it will continuously receive your bills. In their own interests consumers can make confirmation with a number of energy supply business and contrast fees by which they can make the right choice for their usage. To read more on energy information, regularly browse through this blog. © Kenai Peninsula 2019 - Powered by WordPress - Theme RedBel by Belouga.